Last year we had the blend club list on our news site and it was difficult to find unless you knew the link. This year we have it in the magazine where we will be able to provide you much more information, possibly including links to the videos as they are released. We will also be able to lay out the rules of posting your review and even links to the tobaccos. It will all depend on how popular this page will be and how much time we have to tend to it. Muttnchop Piper, host of Blend Club invites you to purchase these blends, even in sample sizes, smoke them in the appropriate month and join him on his YouTube channel to see his review and add your own. 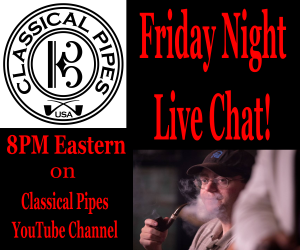 It is a great way for people who are searching for particular pipe tobacco blends in the future to be able to find so much information all in one place. We can already tell this is going to be the best year yet for Blend Club. The choices are fantastic. 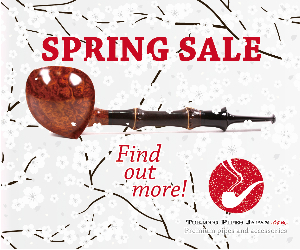 We also highly suggest you get your tobaccos early. If you are going to get them on your own separately, there are one or two that might be a little more difficult to get but you have plenty of time if you plan ahead. If you want to get them through Tobaccopipes.com who has partnered with Muttnchop to supply you will the entire year’s blends. The blends will be sent to you in smaller sample sizes to keep you from getting too much of a particular blend that you haven’t even tried yet. 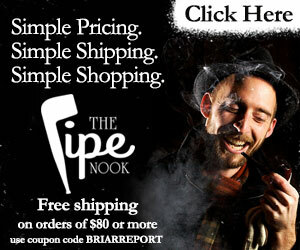 When ordering from Tobaccopipes.com be sure to use the coupon code “muttonchop“. Using that code will get you a whopping 50% off. To purchase the entire 2019 Blend Club lineup click here. When checking out don’t forget to use the discount code “muttonchop” to get half off.